I can't stop admiring this fabulous children's room! 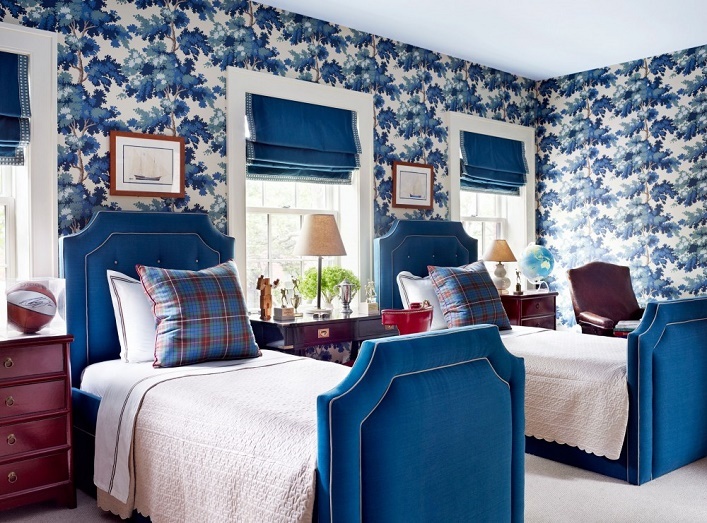 Designed by Nick Olsen, this chic bedroom belongs to a Brooklyn Brownstone home. The stunning wallpaper and the gorgeous custom made trundle beds definitely steal the limelight in this beautifully designed bedroom! I really like how layered, bold and timeless this space looks! Such a striking, stylish and sensational room, what's not to be inspired by? Your thoughts?